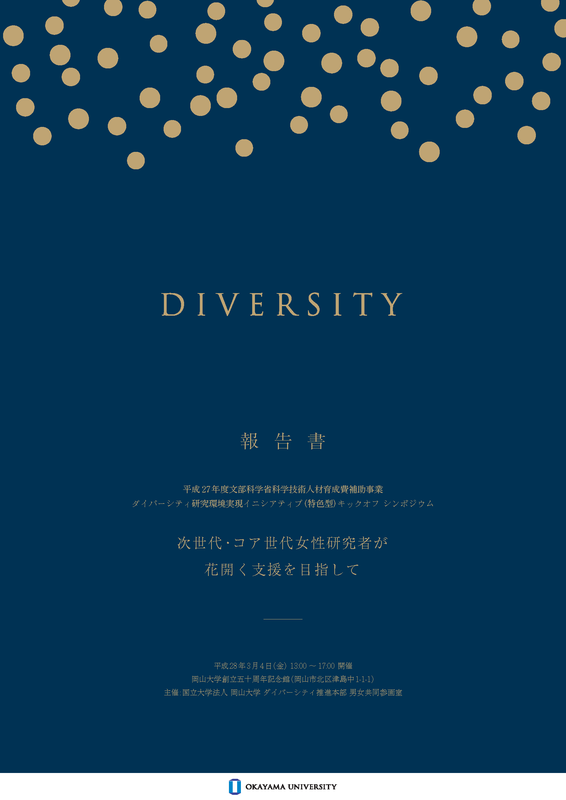 Subsidy Program for Human Resource Development for Science and Technology｜Diversity Management｜ORGANIZATION FOR DIVERSITY MANAGEMENT, OKAYAMA UNIV. 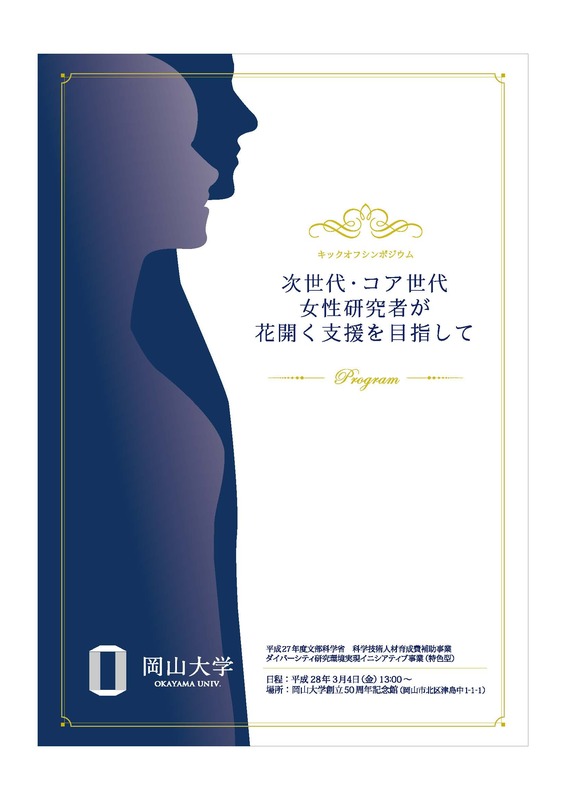 Our University was adopted the Fostering Project of Female Researcher Support Model in 2009 School Year (ended 2011 School Year), the Tenure Track Dissemination / Establishment Project in 2011, 2012, 2013 and 2017 School Year (until 2019 School Year), the Initiative for the Implementation of the Diversity Research Environment (Distinctive Features Type) in 2015 School Year. Please look at the unique programs offered by our university. We encourage female researchers’ performance by recruiting, promoting and tenuring qualified female researchers through the WTT system. We offer training, foster leadership and management skills through initiating and developing joint research projects, and host domestic and international symposium. We hope this system will develop high-ranking, quality female researchers with comprehensive research capabilities. Moreover, we will enhance support such as research support, counseling, mentoring, and continuous career formation. We will promote female researchers who demonstrate excellence. We plan to promote six or more researchers in three years and twelve or more in six years. We are considering to mandating one or more female faculties in the selection committee. Add entry field about life events to evaluation form, selection documents, etc. Flexible work system after childcare leave. Secure personnel who can always apply. Continuous employment both career and human resources. Cooperative planning and hosting of international workshops and symposiums. Set up and implement of collaborative research. Enhancement of research support systems. Installation of support consultation room for faculty and staff (temporary) . It also supports consultation between partners and family members. Female researcher support, including family members support. Expansion of family participation event “Family meeting”. Please note the lecture materials have been deleted due to capacity concerns. 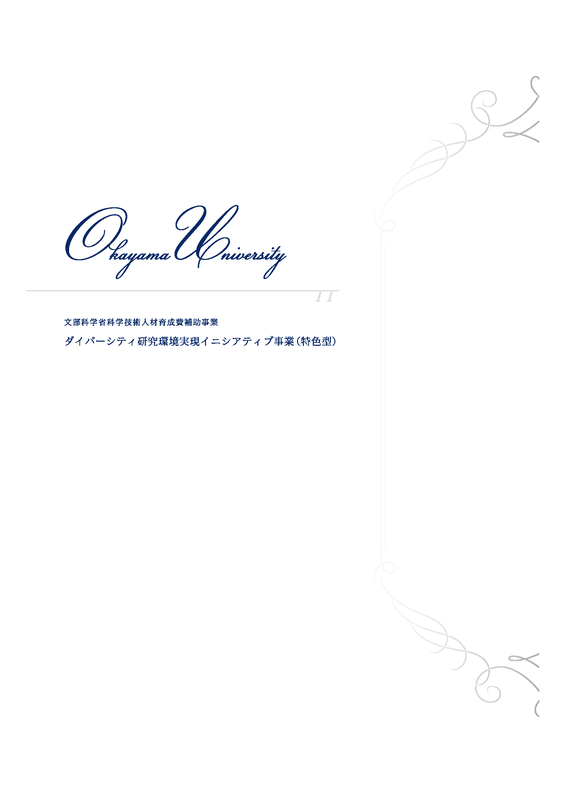 We established Woman Tenure Track (WTT) system in 2009 School Year. It is aimed at securing and fostering excellent young researchers and increasing the number of female faculties at our university. Following the adoption of MEXT Subsidiary on Science and Technology Human Development’s Tenure Track Dissemination / Establishment Project from 2011 School Year, we are implementing measures to enhance and further development of the system. Please check the Woman Tenure Track (WTT) system web page for details on specific initiatives.